During a marriage dissolution, property and asset division is one of the most complicated issues. It is often difficult to determine which property should be classified as marital and which is non-marital. In cases with more complex assets, fair and equitable property distribution is even more challenging. If you are facing a divorce, it is important to be represented by an experienced family law attorney to ensure that your financial interests are protected. At Mevorah Law Offices LLC, our divorce and family law team has provided skilled representation for clients in Chicagoland and throughout Illinois for over 35 years. Our attorneys are award-winning and have extensive experience handling even highly complex divorce cases involving issues such as debt division, bankruptcy, retirement accounts, tax consequences, family-owned businesses, and many others. We are highly acclaimed not only for our experience and skill, but for our down to earth approach and aggressive advocacy on behalf of our clients. We understand the toll a divorce can take on your emotions and finances, and we work hard to make your experience with us as stress-free as possible. Our attorneys are available for consultations during extended evening and weekend hours to accommodate your busy schedule. We also respond quickly to all inquiries and provide regular updates on the progress of your case so you are always kept in the loop. Property exempted as part of a prenuptial or postnuptial agreement. There are times when marital and non-marital property becomes comingled and difficult to untangle. For example, if a retirement account was opened before the marriage but money was added to it and the account gained value during the marriage, part of the account would be a marital asset and part would be non-marital. 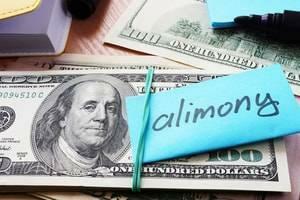 Some spouses try to hide assets in an attempt to avoid including these assets in the divorce. This often occurs with self-employed individuals who open secret accounts the other spouse is not aware of. It is important to work with an attorney that has the in-depth knowledge and resources to perform a comprehensive asset search and uncover all hidden assets before the divorce is finalized. 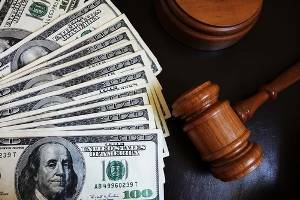 As an equitable distribution state, marital assets in Illinois do not need to be divided equally, but they must be divided in a fair and equitable manner. This is best accomplished through negotiation. When couples and their lawyers negotiate property and asset division, they have much more control over the process as opposed to leaving it in the hands of the court. Whether marital assets are divided via negotiation or litigation, you need skilled legal counsel in your corner to protect your rights. For a free consultation with one of our experienced attorneys, contact our office today at 630-932-9100630-932-9100. We serve clients in DuPage, Kane and Will Counties including the communities of Lombard, Bloomingdale, St. Charles, Joliet and Glen Ellyn.